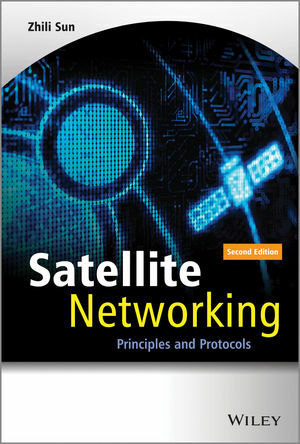 Satellite Networking: Principles and Protocols, Second Edition provides up to date information of the original topics in satellite networking and protocols focusing on Internet Protocols (IP) over satellites, broadband over satellites, next generation IP (IPv6) over satellites, new generation of DVB-S/S2 and DVB-RCS next generations and new services and applications. It also includes some analytical techniques for evaluation of end to end IP performance and QoS over satellite, reflecting the recent convergence of telecommunication, Internet, broadcasting and mobile networks. Topics new to this edition: Internetworking with MANET, DVB-S/S2 and DVB-RCS/RCS2 (including TCP/IP over DVB-S/RCS), recent developments in broadband satellite systems, convergence of services and network technologies (including Internet, telecom, mobile, TV, etc. ), radio resource management, PEP, I-PEP, SCPS, traffic modelling and engineering with analysis and examples, and future developments of satellite networking. Dr Zhili Sun is a Reader in Communications at the Centre for Communication Systems Research (CCSR) at the University of Surrey, UK. He has more than 12 years experience of working in the field since completing his Ph.D. and teaches MSc students modules on satellite communications and data and internet networking as well as industrial short courses e.g. at INT, France.